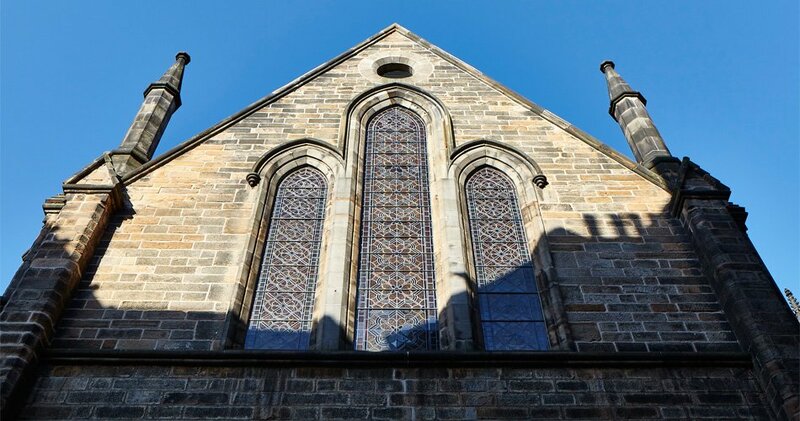 **Supported by Listed Places of Worship Roof Repair Fund,** St. Columba’s Free Church of Scotland enjoys a fine position in Edinburgh historic centre, one side facing the Royal Mile and the other onto Victoria Street which curves gracefully down into the Grassmarket. The Category B Listed building was designed in Early English Gothic style by Thomas Hamilton, 1843-5 and remodelled by John Burnet, 1908. It contains a fine pulpit that was sketched and roundly criticised as an “abomination” by the leading English art critic of the Victorian era, John Ruskin. 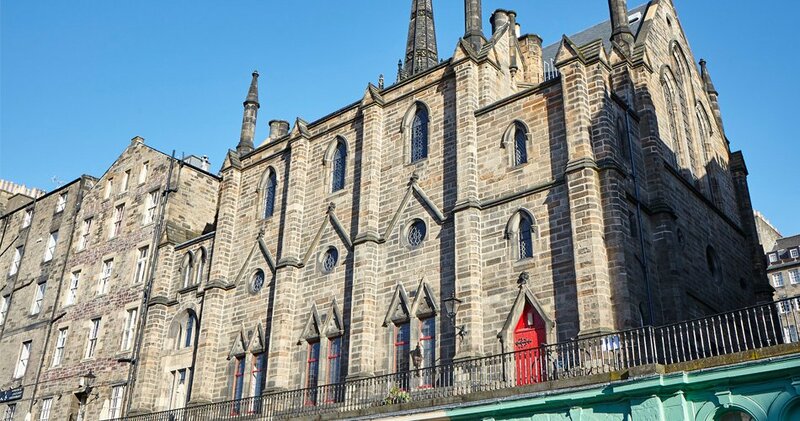 The church is located in the heart of the Old Town Conservation Area and World Heritage Site just down from Edinburgh Castle. 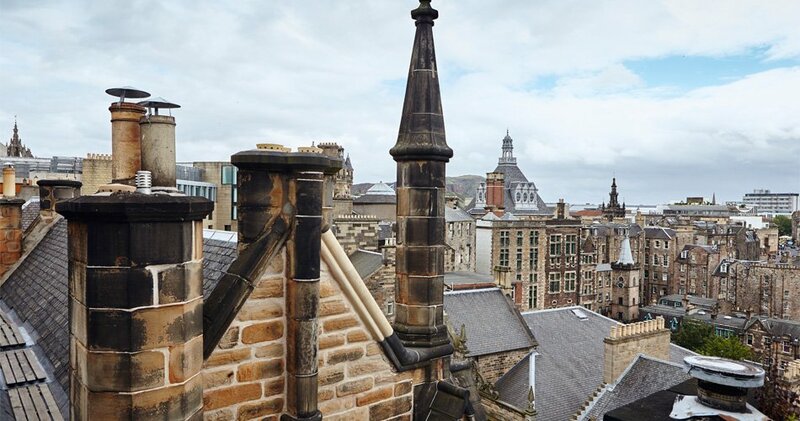 GLM carried out a building condition survey in 2013, advising that critical external fabric repairs should be carried out to maintain the integrity of the structure. 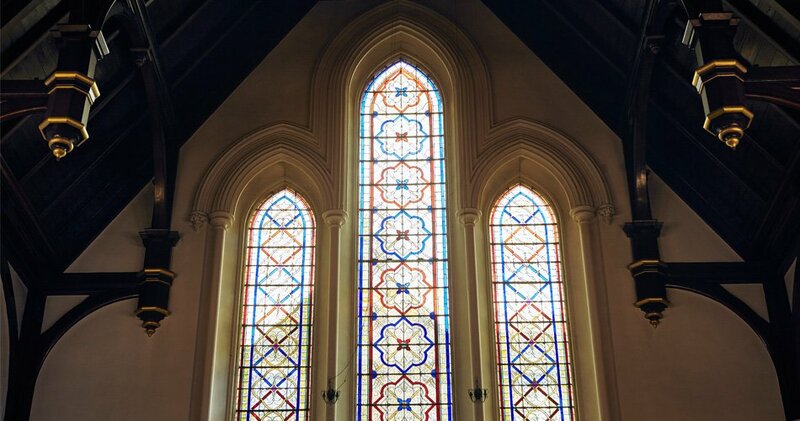 GLM subsequently assisted in securing a significant level of grant funding and designing and project managing the careful repair and conservation of roof coverings, stonework, leadwork and stained glass windows. Now, GLM's architectural division is working on interior alterations aimed at to make the building more useful and usable for the congregation. 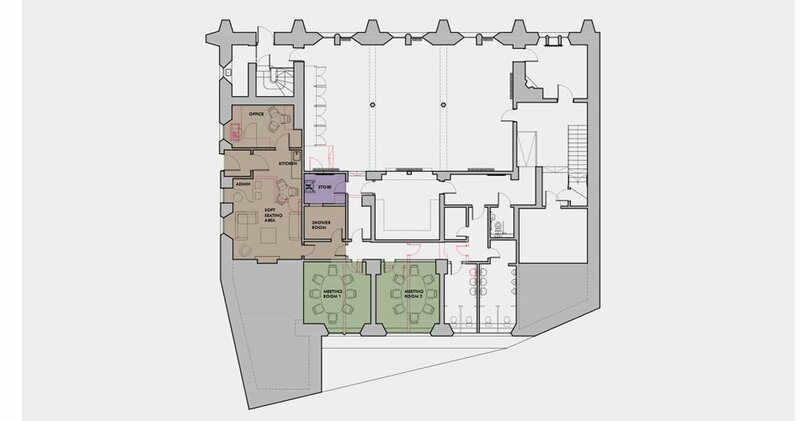 Works will include the conversion of an attached flat into administrative offices for church staff, a complete replacement of the heating system to make the building more energy efficient and comfortable and alterations to the main sanctuary that will produce a dedicated welcome area, raised floor and upgraded facilities throughout. 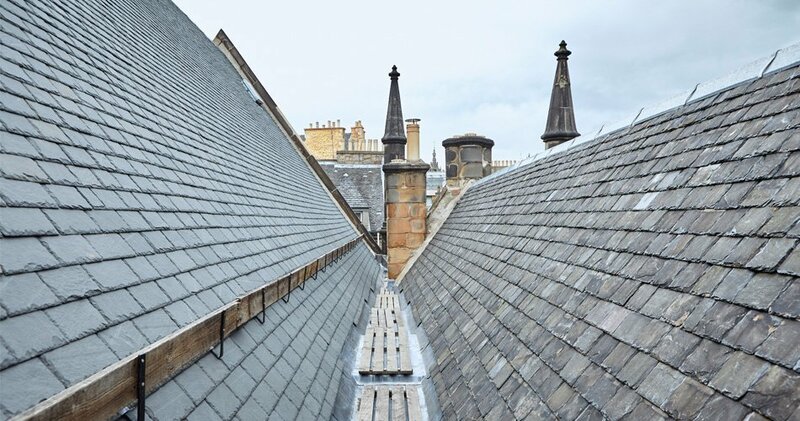 "St Columba’s is very prominently located close to Edinburgh Castle and its maintenance is a great responsibility. 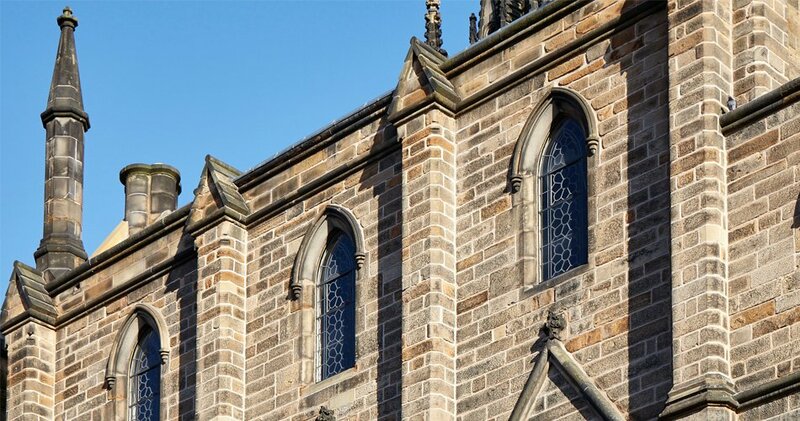 GLM have helped us through what might otherwise have been a challenging project to repair and restore the external fabric of our B Listed church. 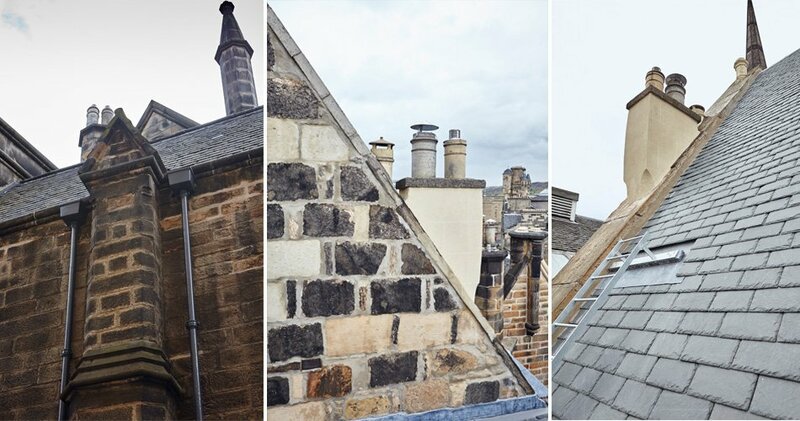 In the first instance they carried out a detailed condition survey setting out and prioritising what needed to be done. 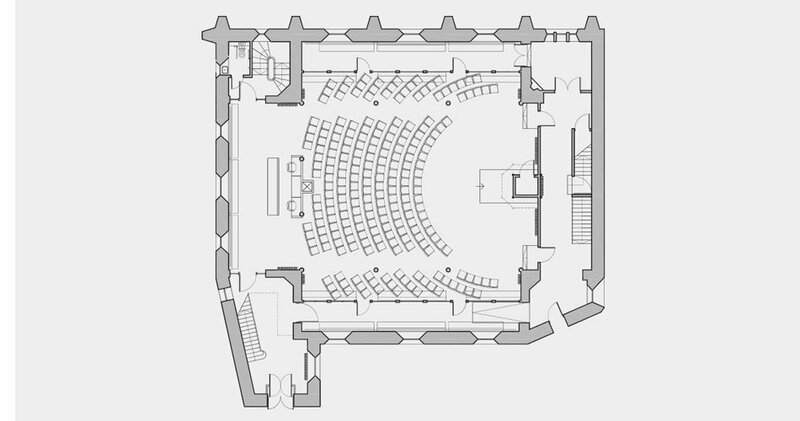 Next they prepared a scheme to put the building into good order. Then they managed a building conservation project. They also helped us to land a very substantial grant towards the cost of the work. We are well pleased with the attentive service we received and with the way our fine building has turned out and we are very happy to recommend them."